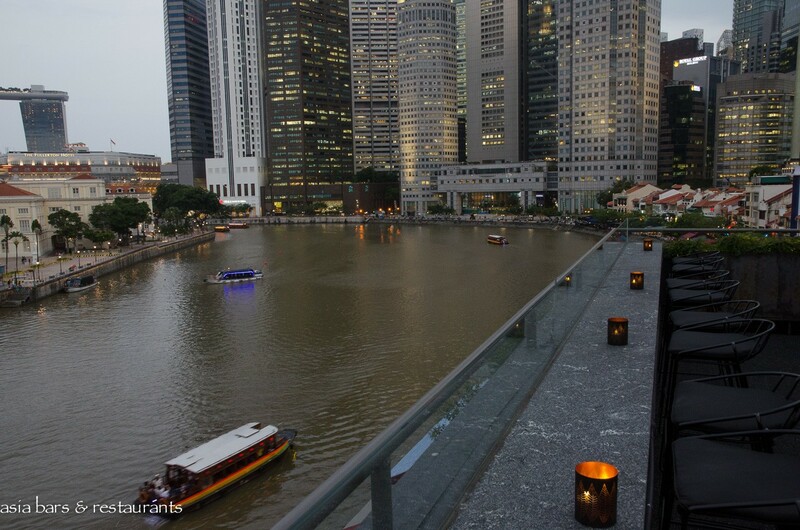 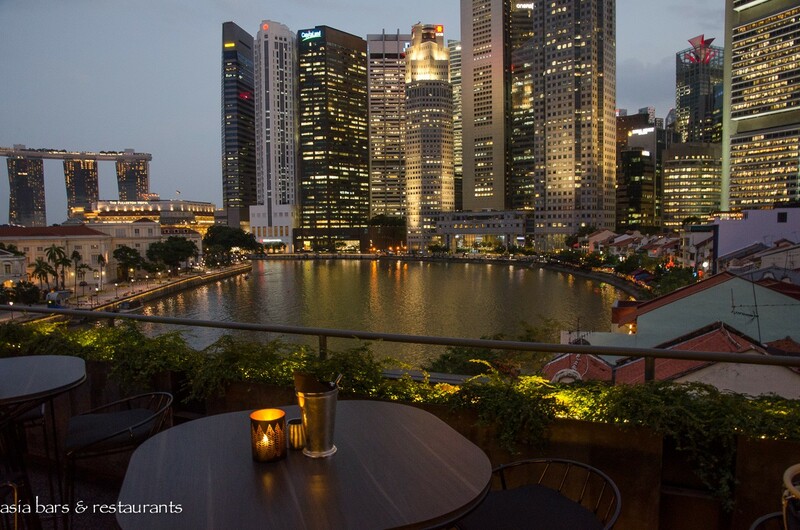 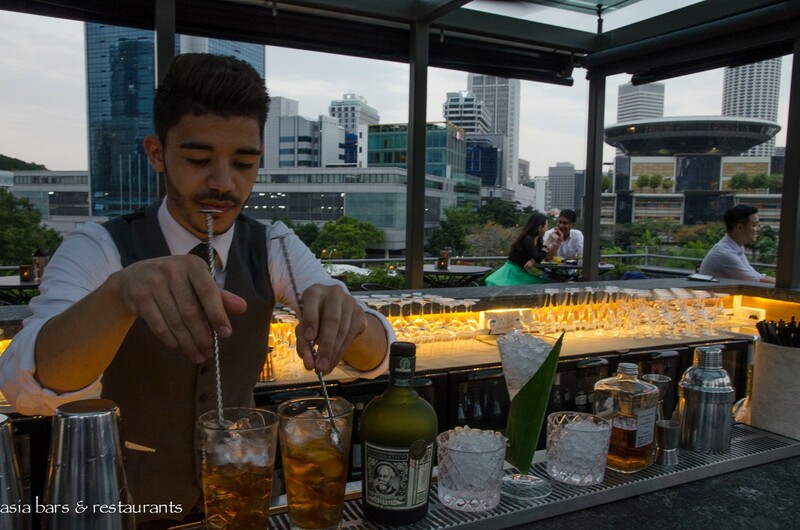 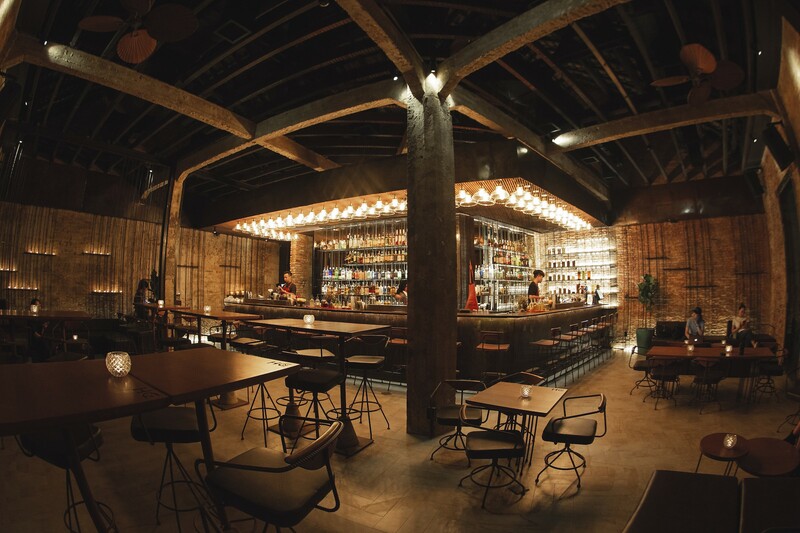 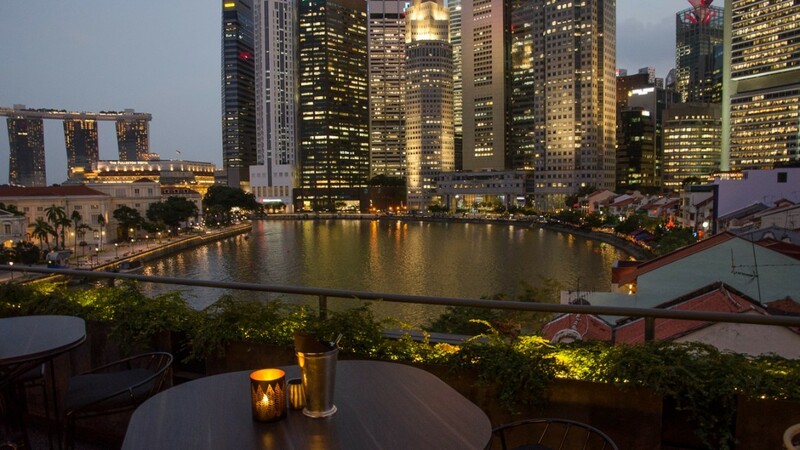 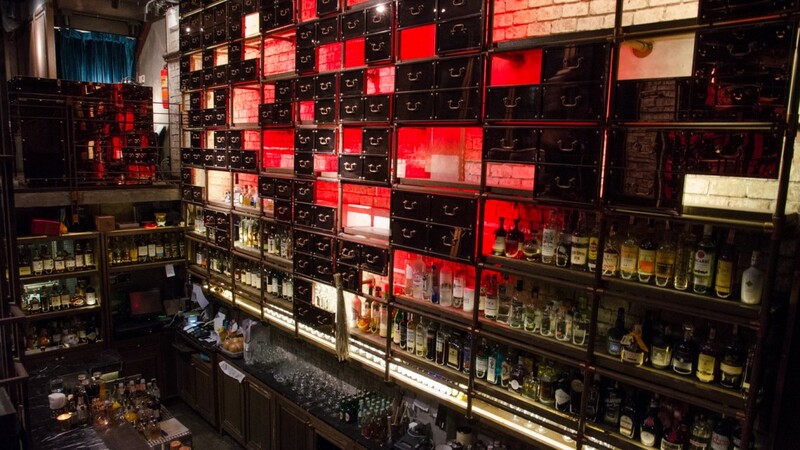 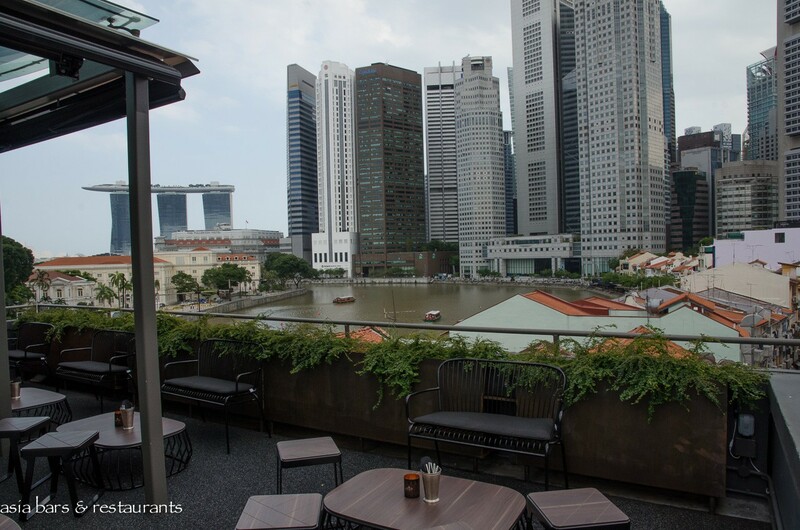 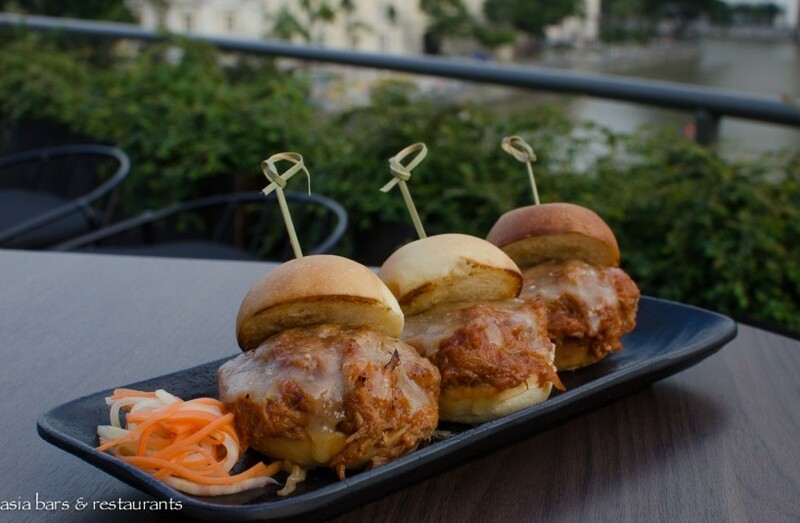 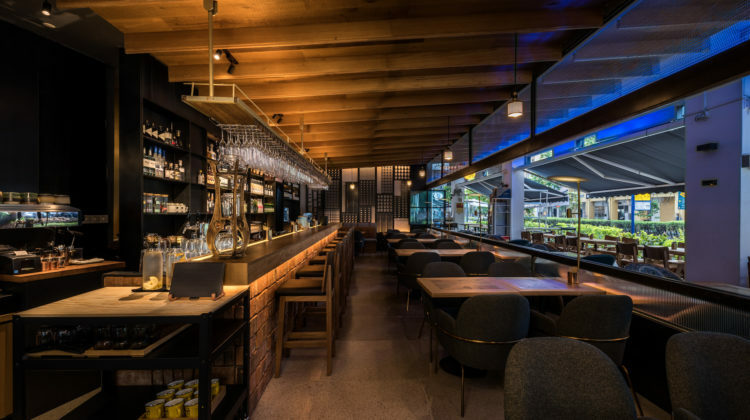 A relative newcomer to Singapore’s lineup of popular rooftop bars, Southbridge opened in September 2014 at the vibrant Boat Quay precinct adjacent to the CBD. 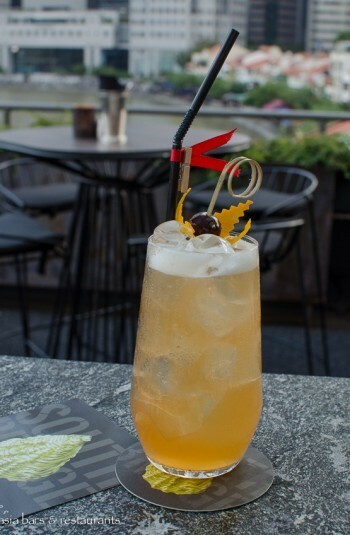 Standing atop a recently repurposed heritage shophouse, Southbridge offers an attractive alternative to the plethora of bars and pubs that crowd the Boat Quay waterfront promenade below. 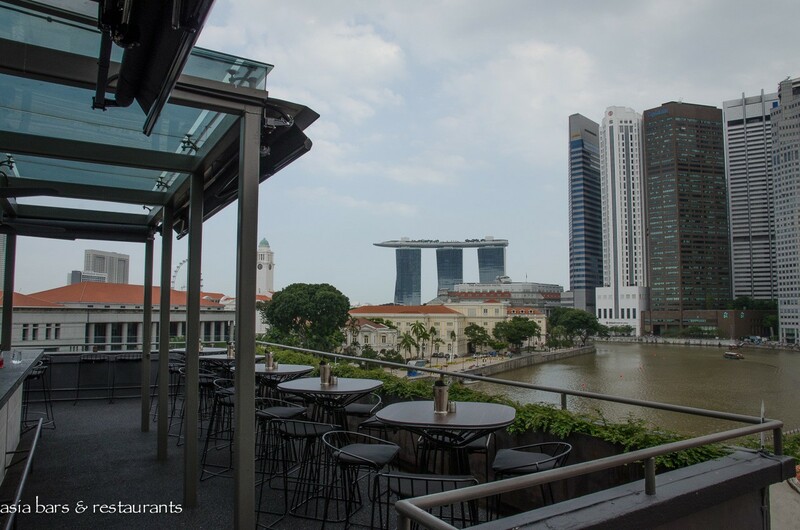 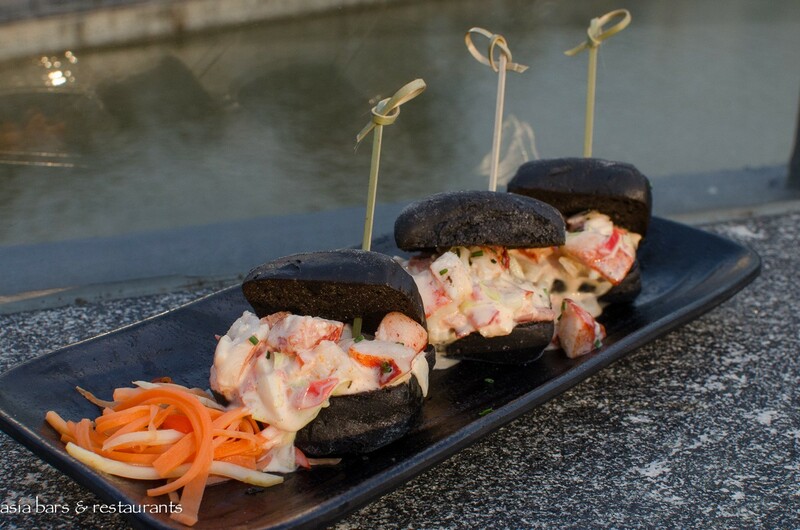 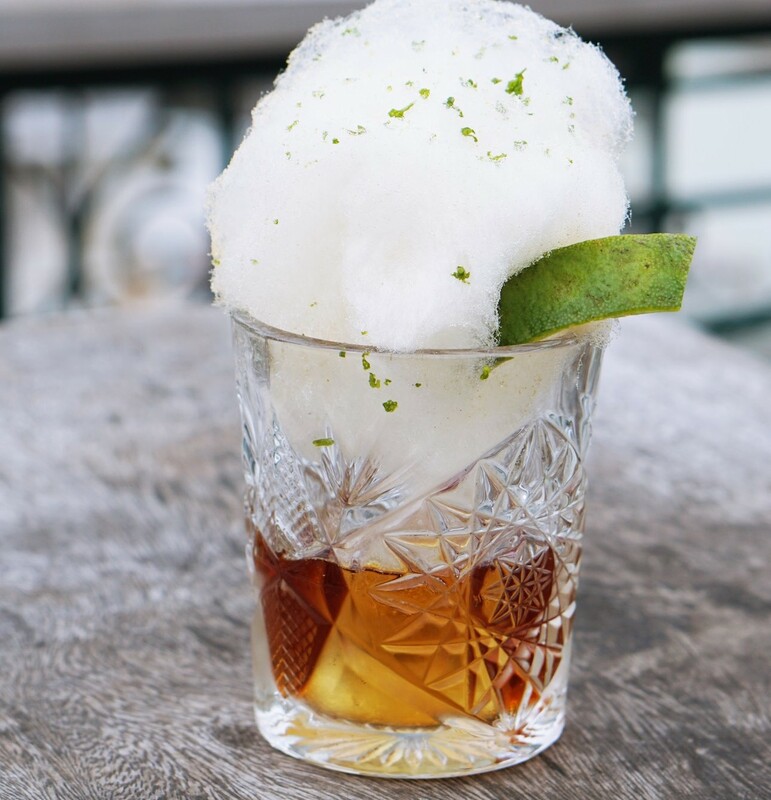 With a completely open-air rooftop space that commands 360-degree vistas, patrons can tick off many of the city’s iconic landmarks whilst enjoying the polished drinks service complemented with sumptuous oyster and seafood sharing plates. 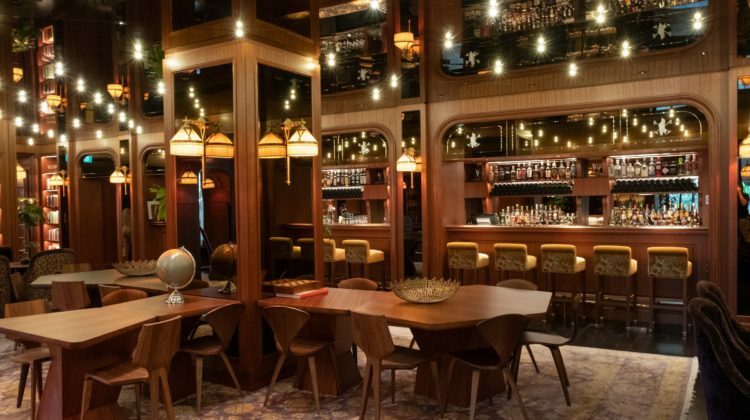 Exuding an understated sophistication, Southbridge is a comfortable and relaxed oasis for sociable evening drinks against the backdrop of Singapore’s skyline. 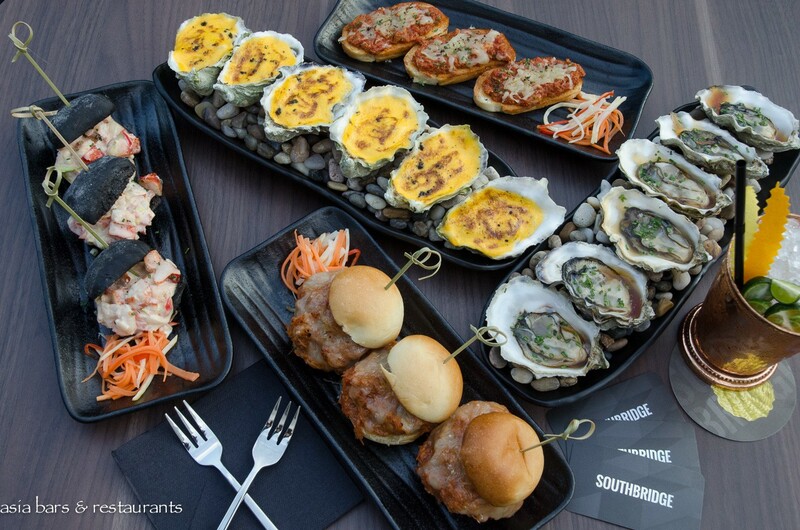 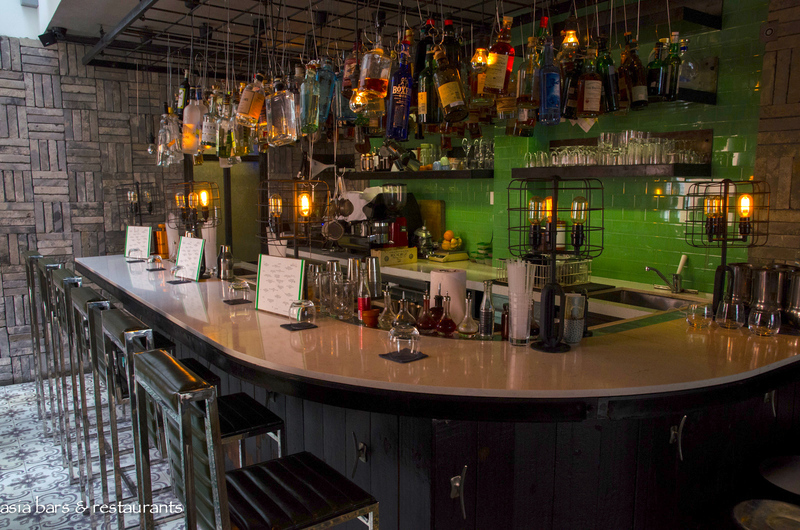 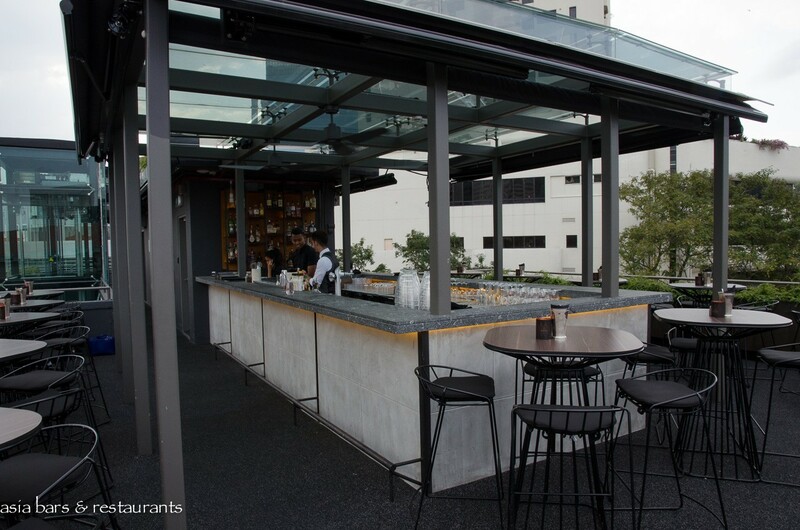 Occupying the entire rooftop, Southbridge boasts a stylish minimalist decor featuring monochrome furnishings, black granite countertops, and black wire-framed bar stools. 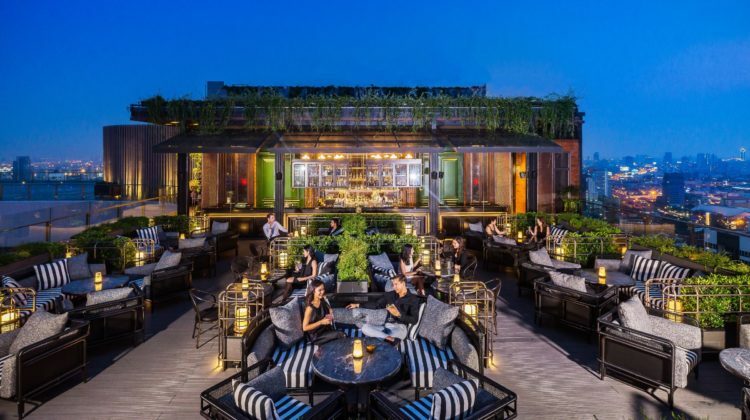 The centrepiece “U”shaped bar separates the main riverfront section from a more intimate space at the rear of the rooftop, comfortably decked out with low tables and seats. 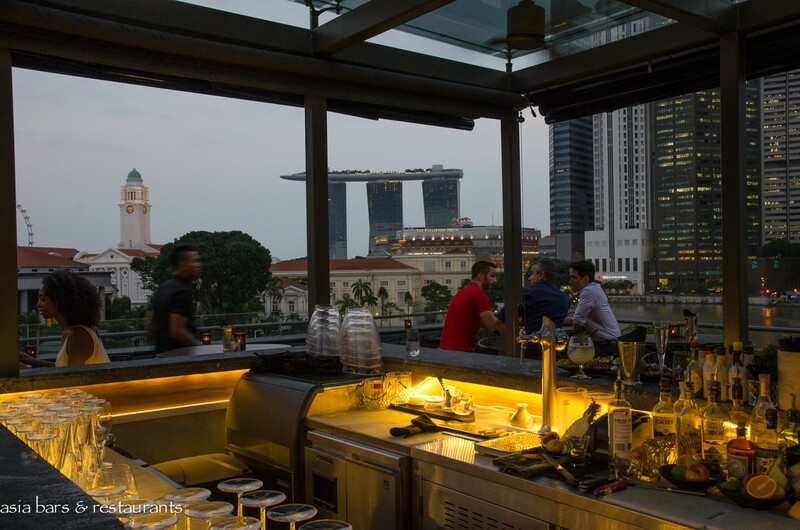 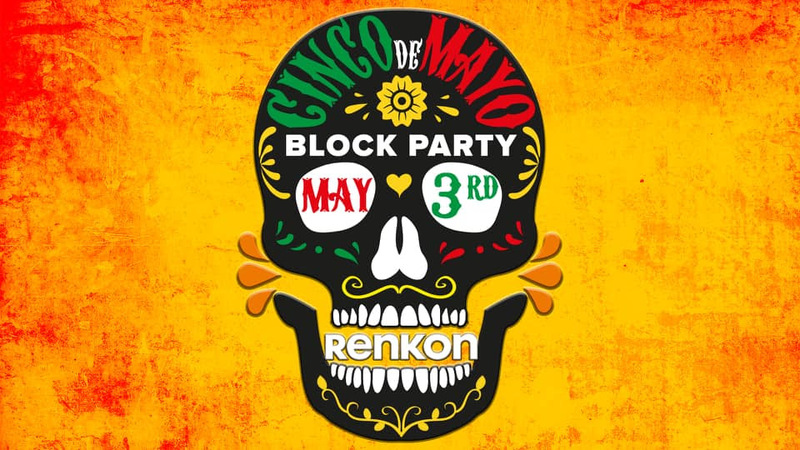 While the rooftop space is completely open to the skies, extendable awnings on the three sides of the central bar provide some protection from any inclement weather. 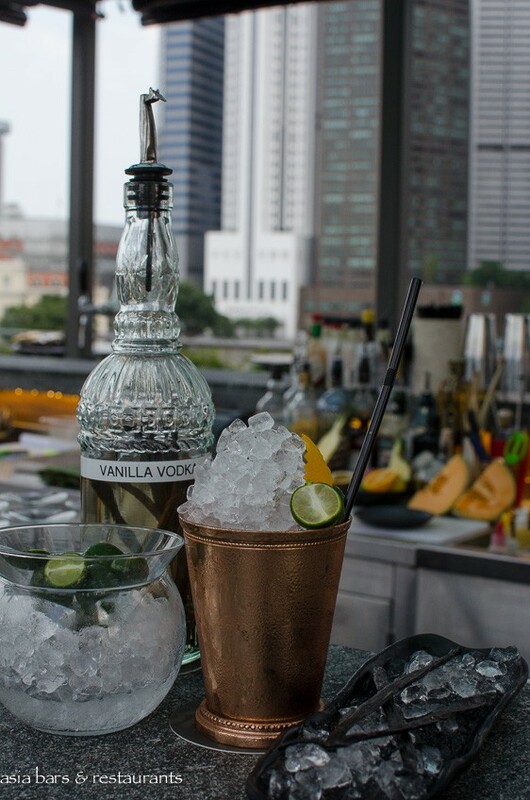 Operated bythe team behind the highly regarded Italian restaurant il Lido at Sentosa Golf Club (also Latteria and the fashionable cafe-bacaro & SONS), Southbridge takes its culinary and cocktail offerings seriously. 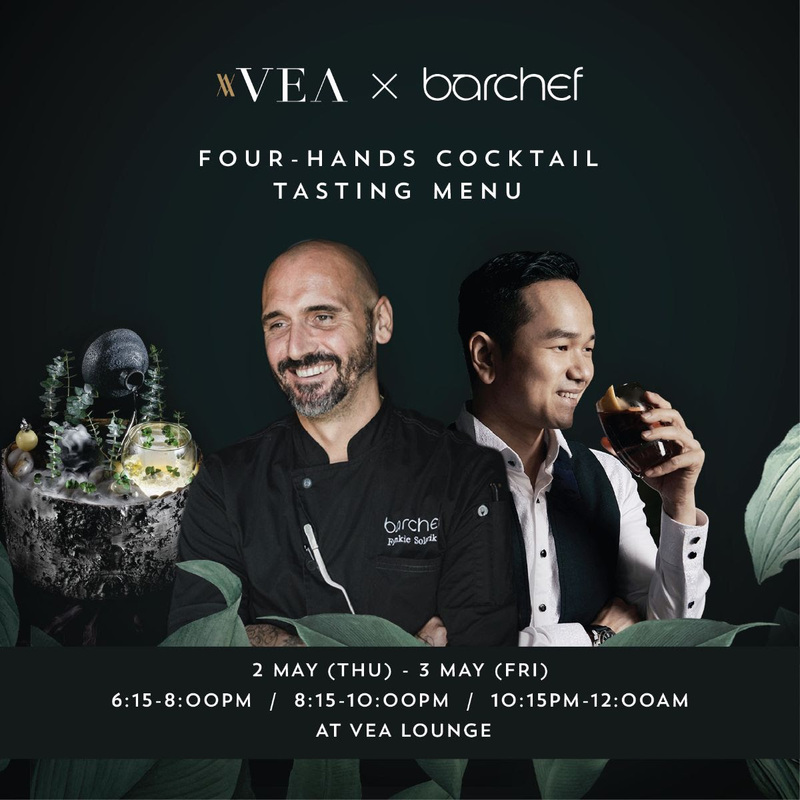 A seafood-centric bar dining menu specialises in fresh NZ Pacific oysters served with a choice of six sauces inspired by Thai and Japanese inspired flavour profiles, together with sharing plates of gourmet seafood bites such as Lobster Knuckle Rolls, and Chilli Crab Croque. 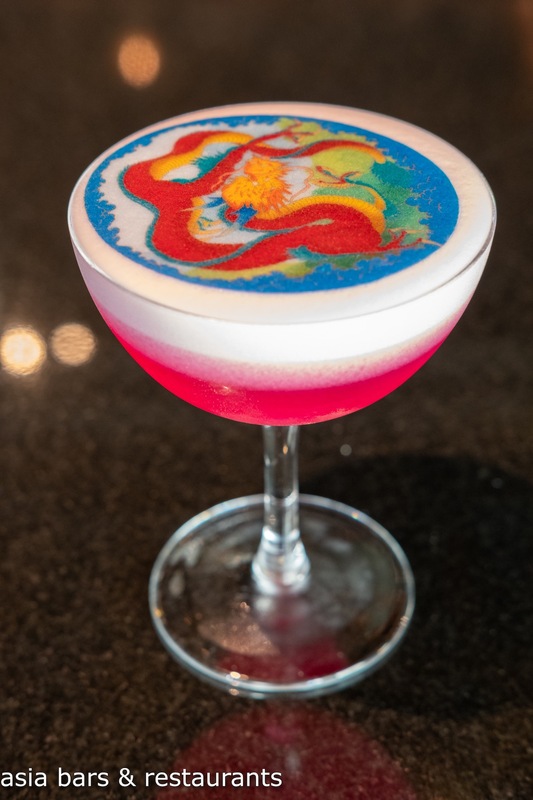 Avant-garde craft cocktails, boutique champagnes, and artisanal sakes headline the beverages at the Southbridge bar. 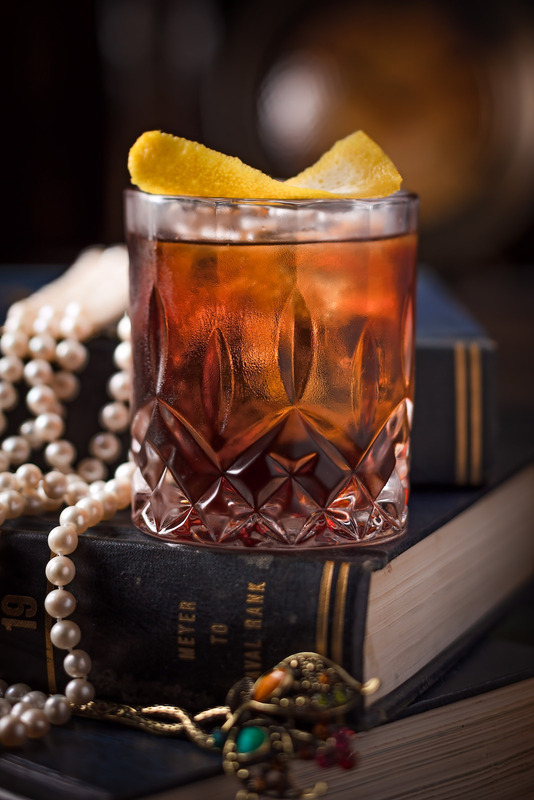 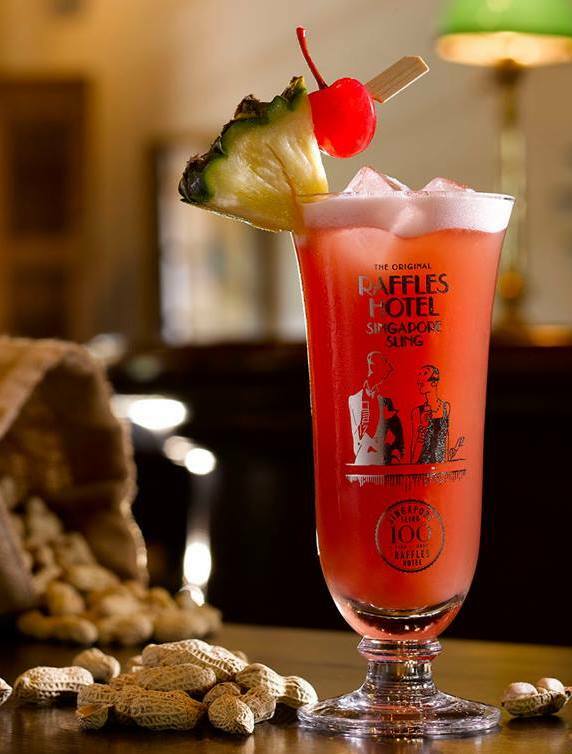 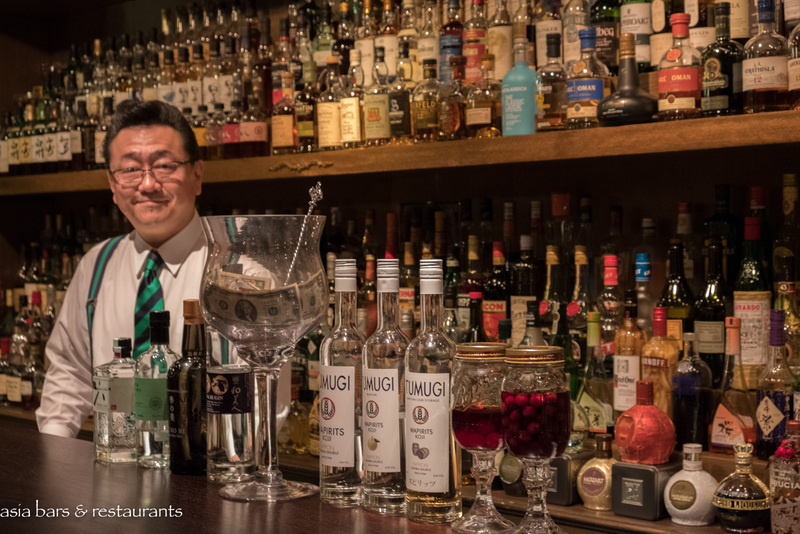 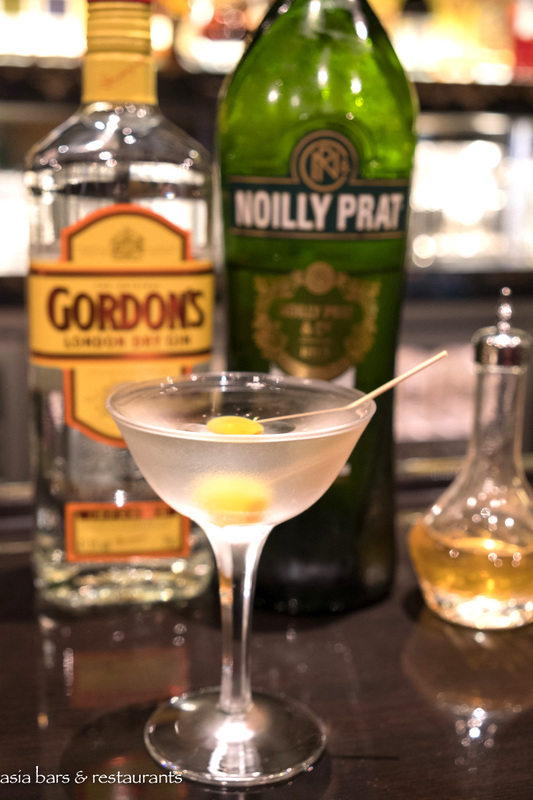 Original cocktails are created exclusively from small batch spirits, inhouse infusions and seasonally fresh tropical fruits. 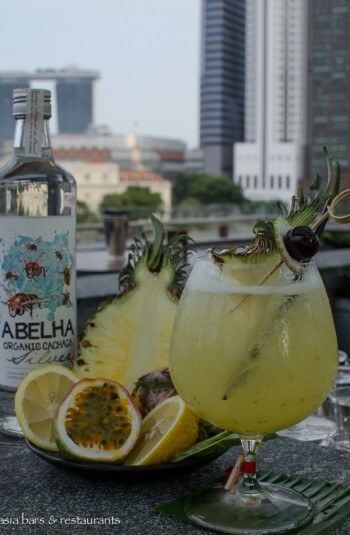 Stand-outs on the well-priced drinks list include the exotic Elgin’s – (named for the historic bridge adjacent to Southbridge) crafted from Albelha Silver cachaca, pineapple, lime and cinnamon-salted caramel; and Southern Belle – made with wild berries & chamomile-infused whiskey, strawberry caramel, and lemon. 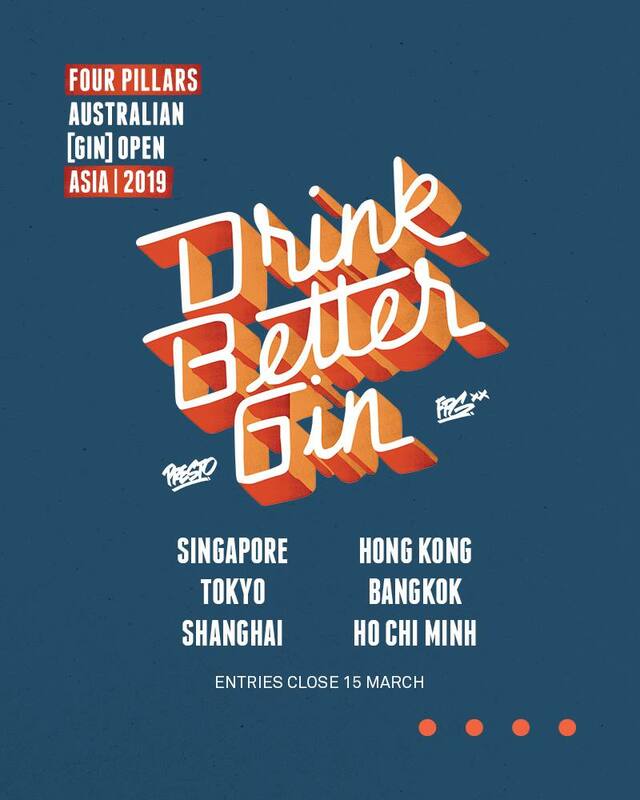 Southbridge is accessed via the entrance on the laneway behind Boat Quay, with the bar opening daily from 5pm until midnight. 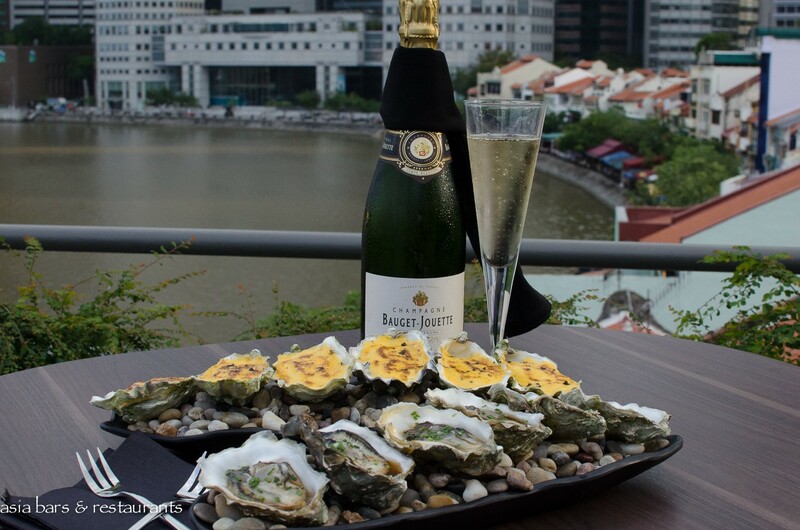 Adding further enticement to sunset drinks, the Happy Hour promotion on weekdays offers special prices on selected champagnes, sake, spirits, and oysters. Happy Hour - Mon - Fri 5pm - 8pm Special prices on selected oysters, champagne, spirits.